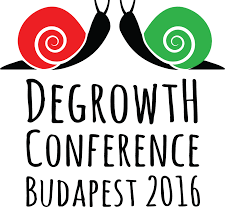 Call for the Sixth International Conference on Degrowth! The international conferences on degrowth are central landmarks and moments of convergence of the international degrowth intellectual and social movements. They offer an unique opportunity for bringing together scholars with other members of civil society and demonstrating a different way of organizing conferences. A central feature of the conferences has been direct participation and collaboration among participants. The past international degrowth conferences have been strongly influential in defining and opening new research and political fields. 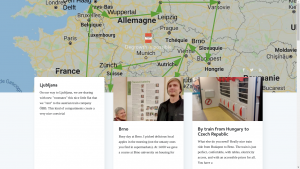 They have been inspired by social movements and experiments, and developed policy proposals as well as initiatives for social experiments in a wide range of areas. And besides all this, they managed to attract significant attention from the general public and the media. 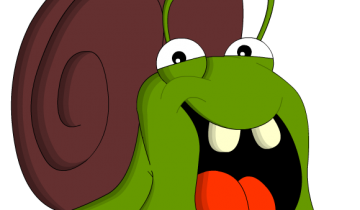 There is now a significant momentum, academic and social, around the idea of degrowth. Other conferences, research projects, courses and summer schools on degrowth have taken place in the same spirit in India, Quebec, Canada, England, Sweden, Greece, Czech Republic, Finland, Sweden, the Basque Country, etc. Each of these conferences has done a lot to advance the scientific discussion around degrowth, and to make the debate publicly visible. One sign for the success of the conferences as well as other mentioned initiatives is the substantial body of research on Degrowth published in international academic journals (over 200 articles and 8 special issues that have gone through normal peer review processes). Reference books like the “A degrowth project” or “Degrowth: A Vocabulary for a New Era” have been translated in more than 10 languages. The International Degrowth Conferences had an increasing number of participants and managed to outreach to other groups, initiatives, and movements not directly involved in the degrowth debate but working on similar issues. Given this momentum, Research & Degrowth (R&D) together with the Support Group (SG) offers to facilitate and sustain the organization of the Sixth International Conference (foreseen for 2018). Within the plurality and increasing number of events on degrowth that we experience and participate in, we wish to develop a clear identity and philosophy for the International Conference as a regular and recognizable event where scholars, civil society and practitioners come together to update each other on their degrowth-related research and activities. and currently promotes the organization of the 5th conference which takes place in Budapest (2016) organized by Cargonomia, Institute of Political Ecology, Focus, ESSRG, Greendependent Institute and Corvinus University. a general structure of the conference: which formats etc. We are also happy to collect applications for smaller scale decentralized local events which could take place during the conference all around the world. Following a list of requirements and suggestions the selection of the conference proposals will be done by the Support Group, which is composed by members of R&D and representatives of the organizing committees of the hosting institutions that organized the previous conferences. Find details about the structure and functioning of the Support Group, the list of requirements and suggestions as well as any updates regarding the Call and future conferences at: www.degrowth.org/conferences. In the event of multiple proposals with quality, the SG will attempt to establish cooperation between the proponents, allowing for coordinated activities in different places, such as hosting national or regional conferences, or any time of events paving the process or parallel to the Sixth International Conference on Degrowth for Ecological Sustainability and Social Equity. une sur les réfugiés de Fukushima. périphériques à PISTE avec Banque des Serments en point d’orgue.